A top mayoral aide on Wednesday offered a compelling reason why five financing giants are being asked to put up $1.7 billion to rebuild Chicago’s crumbling infrastructure: The city is drowning in debt. In the ten years ending in 2010, the city’s direct debt rose by a staggering 96.9 percent — to $7.3 billion. That’s $2,719 for every person living in Chicago. The mountain of debt rises to $13.5 billion when pension and lease obligations, claims and judgments and pollution remediation are factored in. Debt service appropriations account for 22.9 percent of the city’s $6.3 billion 2012 budget. Wall Street rating agencies consider a debt burden high if it falls within the 15 percent to 20 percent range, according to the Civic Federation. Supposedly some of these projects are for energy efficiency. That ought to raise lots of questions. 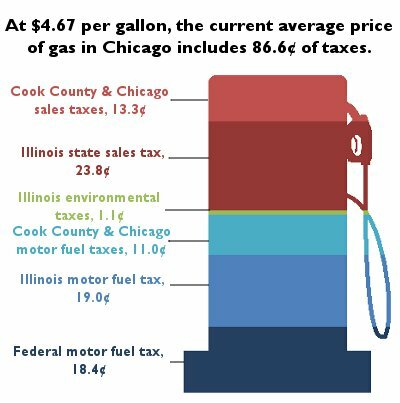 No surprise with Blago's Dem sidekick successor governor-- the state is stiffing the city to boot, despite having raised income taxes by 67%. The price is moving beyond that already. Of course, the mushy Trib doesn't mention the president's tanking Keystone, blaming everyone but himself for high prices. The market is working despite him. Faint hope downstate with possible oil shale development--if the greenie luddites don't torpedo it. Get the facts, folks, on fracking--it's fine. Illinois will still vote dumb Dem in the fall. But the country had better not if America and the next generation is to have any future. If nothing is done to get our debt problem under control, then a baby girl born during Obama's speech today will see debt as a percentage of GDP rise to 179 percent by the time she graduates from college (2034). This would require tax revenues more than double those of this year. By way of comparison, Greece, which recently defaulted on its debt, had a debt to GDP ratio of 165 percent in 2011. 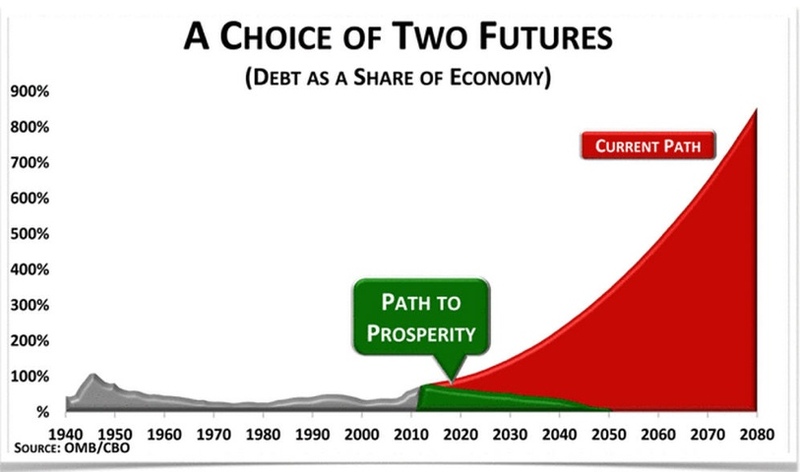 Then there's Obama's Taxmaggedon on the 2013 horizon. Say what you want about Newt, but he's right on this--energy=jobs, another chance to get ahead of all this debt. P.S. This came out in the 80's--when my babies were born. It's much worse now. Fran Spielman writing on the city's finances? If there's one writer who has been cut-and-pasting the city's press releases for the past decade, it is her. Perhaps these reporters are fine writers, but I don't think they understand the finances at all. Or is it when the city's budget director is questioned about the deal. Currently, of the $6.3B budget, over $1.4B goes to pay interest ... and she notes that we should get a $0.02B "savings" from a NEW $.2B project green energy project coming up? For the love of all that is good - get these people away from the cash register!